In most cases when you don't pay off your car loans, the vehicle is shut down or repossessed. This is a lesson Luis Miguel Delhaes recently learned, though he didn't have to. His case wasn't like most. He bought a car when he was 18-years-old, just prior to his deployment as an active duty servicemember, according to an ABC "Let Joe Know" helpline report on Delhaes' troubles. The vehicle he purchased from Express Auto Spot in Phoenix was financed with 28 percent interest through Southwest Financial, contained within the dealership. The plan was that Delhaes would leave for boot camp, during which time his loan payment obligations would be suspended, something the lender allegedly agreed to. At least that is what Natasha Saucedo, Delhaes' mother, told the news outlet. A sergeant with the Marine Corps sent a letter explaining Delhaes' rights under what is called the Servicemembers Civil Relief Act – legislation designed to relieve active duty persons from certain financial obligations while deployed – to ease the burden on them and their families. Saucedo explained that she planned only to use the vehicle for medical reasons and when necessary while her son was away, but that she soon found that the car had been turned off. Delhaes believes it was shut down by the dealership with some sort of kill switch, according to ABC. "The law allows members of the military to put financial obligations on hold." The decision by the dealership to turn off the vehicle was in violation of the SCRA. The legislation allows servicemembers to put certain financial obligations on hold, or cease them altogether, while on active duty. The regular geographic upheaval and arduous work of a deployed servicemember leaves little time to consider loans back home, and the SCRA accounts for this. Once it is verified that an individual is on active duty – which should always be the first step when dealing with a loan obligation you think may belong to a servicemember – debt collectors and lenders should be careful about their next steps. Express Auto Spot wasn't so cautious in its dealings with Delhaes. The letter from the Marine Corps sergeant explaining Delhaes' legal right to suspend loan obligations while deployed was sent to the dealership four times, but the Express Auto Spot demanded the servicemember's official military orders, which were also sent to the dealership. Additionally, Delhaes and an officer from the camp where he was stationed spoke with representatives from the business. Still, the car remained unusable. The dealership informed Saucedo that if the payments on the vehicle weren't made, it would repossess Delhaes' car, despite his protections under the SCRA. Later on, the dealership would claim a lack of experience dealing with servicemembers. Any sort of business that doles out loans to active duty persons, even those that do so rarely at most, should be aware of protections offered to servicemembers under the SCRA. Joe Ducey, the local ABC outlet's helpline reporter, explained that after his "Let Joe Know" team began getting involved in Delhaes' struggle with the dealership, things turned around and the business eventually offered him a significant amount of money back, though exactly how much is unclear. 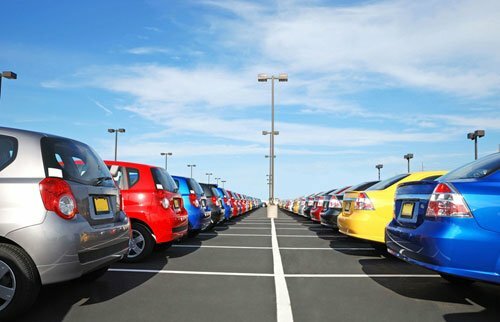 The situation wasn't brought to court, and was eventually resolved, though Saucedo noted that she was not happy with the way her family was treated, nor the time wasted attempting to assert Delhaes' rights and fend off the dealership's collection efforts. Any sort of lenders who are dealing with a borrower far behind on his or her payments should first poke around before taking any action, with the primary question being: Is this person an active duty servicemember? The Department of Defense's database is a great place to check whether a person is deployed or not, though the actual act of doing so can get tedious. Thankfully there are services, such as Servicemembers Civil Relief Act Centralized Verification Service, that do the work for you.